Welcome to the most exciting challenge that we have undertaken in 25 years on our Weekend wine pages – the inaugural Daily Mail Wine Awards. Since late summer I have been tasting every wine on our supermarket shelves and whittling them down to a core of 160 stunning wines. I then split these into 20 categories, covering every style of wine imaginable – from champagne to chardonnay, pinot noir to prosecco – with eight bottles in each, and hit my little black book of wine experts to sign up the ultimate judging team for a ‘blind tasting’ of each one. As self appointed chairman of this merry band, I conducted a day of rigorous sniffing, swirling and spitting at the Daily Mail HQ to pick a winner and two runners-up in each category – and the results are revealed in this glorious eightpage pullout. My only criterion in the judging, aside from superb flavour of course, was that the wines needed to show extraordinary value for money, and every judge was blown away by the 60 stunners you’re about to discover, by both their flavour and their affordability. In short, these are the best-value wines on our supermarket shelves today. I’ve included some of the judges’ comments on certain wines Five expert judges. Thousands of bottles. Whittled down to the 60 most delicious and best-value wines in YOUR supermarket. So get those corks popping with… 8-page pullout in my tasting notes and I hope you enjoy reading through this list as much as I enjoyed compiling it. Make sure you hurry along to the supermarkets with this special pullout in hand to stock up on bottles for your winter entertaining. And act fast, as many of these wines are subject to seasonal discounts and some of these deals end soon. Best of luck and cheers! 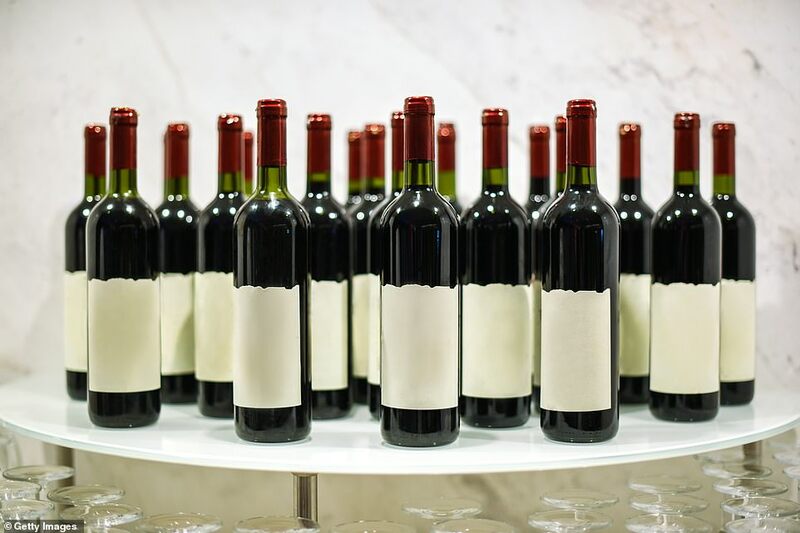 The sun is shining, the banqueting table here at Daily Mail HQ is groaning under the weight of 160 superior bottles of wine – all wrapped in tin foil – and the judges are licking their lips at the prospect of blind-tasting them for the first ever Daily Mail Wine Awards. That’s the tempting scene as our esteemed panel, compered and marshalled by Weekend’s wine columnist Matthew Jukes, take their places. 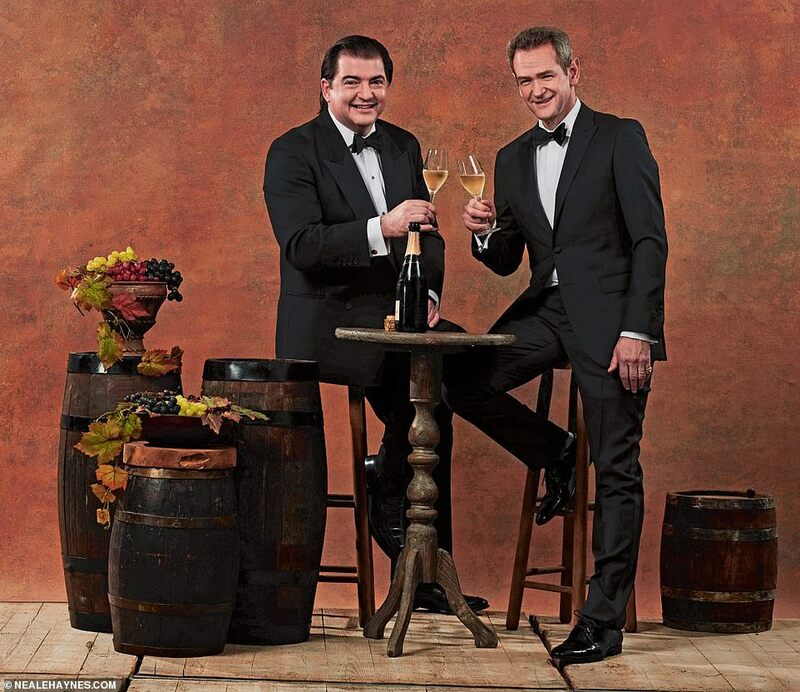 Today’s expert judges – top chef Richard Corrigan, actor, TV presenter, singer and unabashed wine-lover Alexander Armstrong, BBC1’s Saturday Kitchen wine expert Jane Parkinson, and winemaker Emma Rice – have been complemented by four novices (including yours truly) to represent the average supermarket- wine buyer. It’s a tough job, but someone’s got to do it! Matthew Jukes says: ‘Emma reminded me that we met 22 years ago when she began her career in the trade working for Domaine Direct in London. ‘After studying winemaking and working all over the world, she started at sparkling wine producer Hattingley Valley in Hampshire and is now regarded as one of the most talented winemakers in the UK. Matthew says: ‘I first met Jane in South Africa more than a decade ago when we were both attending a wine event. I was struck by her exceptional palate and food-and-wine-matching acumen. Matthew says: ‘I have been following Richard’s food closely ever since he opened Lindsay House in London’s Soho, where he won a Michelin star in 1997. ‘His eponymous restaurant in Mayfair is a favourite of mine and among Richard’s vast array of skills is his ability to layer flavour in his dishes. Matthew has worked in the UK wine business for over 30 years and has been Weekend’s columnist for nearly two decades. He also writes four comprehensive annual reports on wines from Bordeaux, Burgundy, Piedmont and Australia. Matthew says: ‘Xander is one of our most loved TV presenters and entertainers, best known as one half of comedy duo Armstrong and Miller and as host of the BBC1 quiz show Pointless. ‘What many of you may not know is that he is also a gourmand and wine lover, and one of the most entertaining dining pals around. Matthew has spent the previous weeks tasting thousands of supermarket wines to whittle them down to eight top-notch tipples in each of 20 categories, from prosecco to pinot noir, chardonnay to Champagne. They’ve been chosen to suit all palates, but critically they all represent excellent value. Matthew is quick to point out to us apprentices there is to be no swallowing. ‘There are no taste buds in your throat,’ he chides. ‘They’re all in the mouth.’ And we must drink water between each sip. ‘You need to keep your palate clean. Nothing is worse than tired tastebuds,’ he warns. Of course, his fellow professional judges know this, as well as the meanings of the bizarre technical terms used to describe wine, such as brawny, flinty, fleshy, bretty and even sweaty. But they insist you don’t have to sound like a sommelier to sip and swill away and put your finger on what you like. 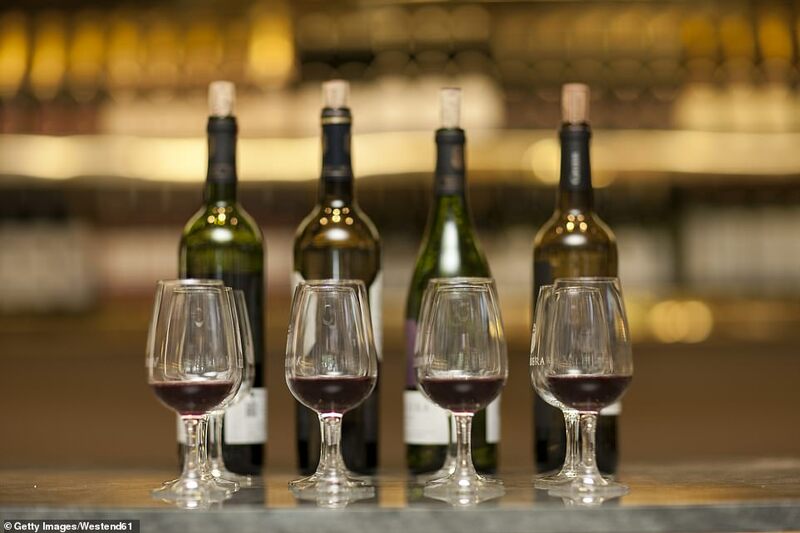 Wine is the UK’s favourite tipple, with 60 per cent of adults drinking it regularly. More importantly, over 80 per cent of wine sold in Britain is through retail outlets such as supermarkets. And with more varieties available than ever before, finding interesting, well-chosen wines is more challenging than ever. Which is why the results of these awards will be indispensable reading for the discerning wine-drinker. Wine connoisseur and bon viveur Richard Corrigan, Irish chef and patron of Corrigan’s Mayfair and Bentley’s Oyster Bar and Grill, says, ‘I’m always astonished when I taste some of the incredible wines available in British supermarkets. They’re a paradise for the wine lover as they offer so much variety. As a restaurant owner, I always try to keep ahead of the supermarkets. 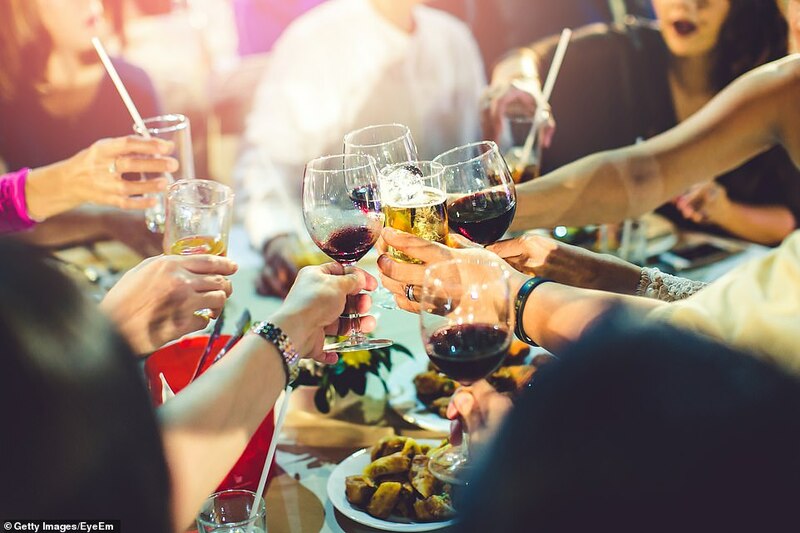 Never mind them being a minefield for customers – they’re a minefield for people in the wine-and-restaurant industry too. ‘This is why the Daily Mail Wine Awards are so brilliant,’ he continues, ‘as the results will point customers in the right direction. ‘We’re looking for fantastic wines that don’t break the bank. ‘An average-priced decent wine used to cost £60. Fine-wine collector Alexander says he doesn’t usually spend less than £20 on an off-the-shelf bottle of wine. ‘I try to keep my alcohol units down so I’ve got to make sure the wine units I drink are delicious,’ he says. As a boy who was served a tiny glass of fine wine at meal times, he knows how to spot a great vintage. ‘I grew up in a delightful but freezing farmhouse in Northumberland. When wine came up from the cellar it was freezing too. ‘So Dad would put it on the back of the Aga at lunchtime and wouldn’t pull the cork out until dinner, by which time it was pretty much bath temperature,’ he laughs. His real education started on a French exchange at the age of 14, when his hosts offered him his own mini-decanter of red Burgundy at lunch. He now has a collection of some 300 cases stored at The Octavian wine vaults in Bristol. And so to the tasting, conducted under exam-like conditions because Matthew insists on silence while each category – or flight – is tasted to maximise our focus on the flavours. The tasting is done under the 5S system, starting with the See. First we tilt our glasses, a third full, at a 45° angle against the white tablecloth to observe the true colour of the wine. Is a red full-bodied like the black fruits of a malbec, or light-bodied like the magenta of a pinot noir? Next comes the Swirl, where the wine is circled around the glass up to five times to unleash the flavour. ‘It opens the aromas which makes the next step easier,’ says Alexander. Now it’s the Sniff, which gives a clue as to what you’re about to taste, such as the lemon, tropical-fruit tones of a white wine. Stage four is the Sip and Swish, where you move a tiny sample of wine around your mouth like mouthwash. As they sip, the judges breathe in gently to draw the aromas into their mouths and nasal passages. This elegant swishing is soon interrupted by a series of dreadful gargling noises – all part of the professional experience to detect acidity at the sides of the mouth and sweetness to the front. Then comes a choice – to Swallow or Spit the wine out into a spittoon. The professional judges choose to dispose of their mouthfuls to keep their palates as clean as possible and pace their alcohol intake. The more neanderthal among us happily swallow every drop, just to make sure we haven’t missed anything. One wine in each of the 20 categories was chosen by the judges as the outright winner, with two voted runners-up. As he’s someone with a penchant for a top Bordeaux, we wait with bated breath for Alexander’s verdict on the selection of reds. ‘I love The Cubist Old Vine Garnacha, Spain 2016. This is a stonking wine,’ he declares. He and Richard love this wine, and also agree on the winning chardonnay: the 2018 Vandenberg Chardonnay from South Australia’s Adelaide Hills. Over the next five pages you’ll find the outright winner and the two runners-up in each of the 20 categories, accompanied by Matthew’s in-depth tasting notes. Simply find the style of wine you’re after, choose the bottle that tickles your fancy – then hotfoot it to the supermarket while stocks last! As a country boy from Ballivor, Ireland, Richard likes farmyard flavours. ‘I’m always looking for pinot noirs that stir memories of my childhood, the farmyard smells,’ he says. ‘I’m impressed with the pinot noir & gamay category winner, the 2017 Asda Extra Special Yarra Valley Pinot Noir from Victoria, Australia, at £7.98. ‘The winning chardonnay, the Vandenberg, is also exceptional,’ says Richard. When it comes to fizz, we can rely on the technical expertise of Emma Rice who, as head winemaker and director of Hattingley Valley wines in Hampshire, tastes some 40 of her English sparkling wines each morning during the blending season. But there’s a price to pay, she says. ‘I can only taste so many wines in a day as the acid’s so high. ‘The enamel on my teeth has disappeared, so I have to order special chewing gum from Thailand that helps harden the enamel. But essentially, my teeth are b*****ed,’ she laughs. 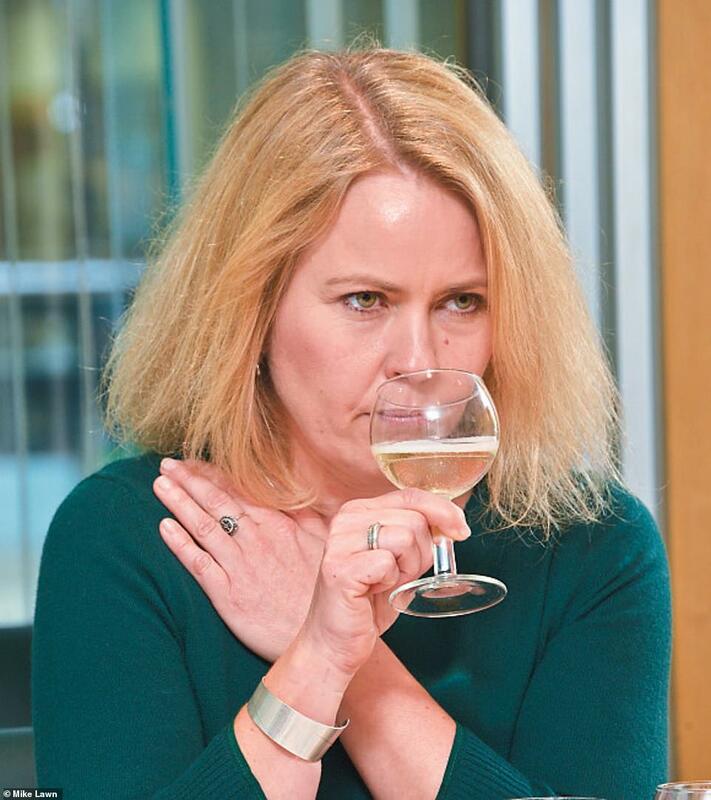 It must be worth it – she has twice been voted Britain’s winemaker of the year. She’s impressed with the Champagne winner. Like others among us, Emma prefers Spanish cava to Italian prosecco and thinks it has gained an undeserved bad reputation. ‘You can’t beat the value for money of the 2016 Codorníu 1872 Vintage Cava, which won its category,’ she says. ‘It was outstanding for the price.’ It’s currently on offer for £7.99 at Waitrose. Emma’s eyes light up when it comes to the English sparkling wines. ‘The winner of the Daily Mail English sparkling wine – the 2014 Marksman Blanc de Blancs from Sussex – is excellent value at £26,’ she says. She agrees that the English sparkling wine business is booming – up 64 per cent from 2016 – thanks to the combination of a warmer climate, more sophisticated wine knowledge and fresh investment. Plus, the fruits of this year’s extraordinary British summer are soon to be bottled in what could be the best-ever vintage for English sparkling wine. Like Emma, Jane Parkinson is keen to encourage buyers to try something new. ‘Britain is the shop window for the world when it comes to wine. We should make the most of it to avoid getting into a rioja rut or a sauvignon blank,’ she says. She particularly enjoys the Australian and South African wines today. ‘I’m especially impressed with the 2017 Rustenberg Chardonnay from Stellenbosch, South Africa, and the Australian wines, like the 2017 Asda Extra Special Yarra Valley Pinot Noir. Alexander agrees. ‘The Daily Mail Wine Awards have been an extraordinary wine-tasting marathon. English sparkling wine is going from strength to strength, and with a bountiful harvest this year there will be more bottles than ever on our shelves in years to come. Most top English sparklers start at £30 and rise rapidly in price. I have set the maximum price at £30 and we have come up with three magnificent examples for you to buy for your celebrations. 2014 Marksman, Blanc de Blancs Sussex, England (£26, Marks & Spencer) Our winner in this category is thrilling in every way, and world-class in its construction. What I like about this vintage is the mellow mid-palate, which is a result of grapes which ripened perfectly in the autumn of 2014. This is one of the great ‘partnership’ wines on our shelves – Marks & Spencer wine buyer Sue Daniels works closely with the famous Ridgeview winery to make this amazing 100 per cent chardonnay sparkler. Simply stunning. NV Tesco Finest English Sparkling Kent, England (£18, Tesco) Made for Tesco by Hush Heath, this is a 45 per cent pinot noir, 45 per cent chardonnay and 10 per cent pinot meunier fizz. One of the cheapest English sparkling wines around, the fruit here is very impressive and it is a worthy rival to inexpensive Champagne. NV Ridgeview, Bloomsbury East Sussex, England (£28.99, Waitrose) Waitrose is a huge supporter of English sparkling wine and this is one of Ridgeview’s own. Made from two-thirds chardonnay plus pinot meunier and pinot noir, it’s a grand style with amazing length and richness. At the top of the tree, this is a wine which not only looks awesome within our shores but it also looks amazing against world competition. The most famous style of fizz is also the most varied on our shelves. If you’re mixing prosecco for a cocktail then its intrinsic flavour is not important, but if you intend to drink it straight you must be very picky, because there is an awful lot of neutral, gassy rubbish out there. (£10, reduced to £7.50 from 12 December until 1 January, Sainsbury’s) A very fine wine indeed, with superb control and length. The freshness found here is as shocking and invigorating as taking a deep breath on a cold winter’s day. You can hunt down halves and magnums of this wine as well if you’re eagle-eyed! It is a worthy winner of our top prosecco spot. NV Maschio, Prosecco Superiore Veneto, Italy (£11, Morrisons) Our first runner-up is made from the prosecco grape glera, blended with pinot bianco and chardonnay. The ultimate all-rounder when it comes to food-matching, this winning prosecco works with all party-style canapés and lighter starters such as smoked salmon. It’s another finely assembled creation with just the right amount of vivacity on the palate and very fine bubbles, too. It’s often discounted, so watch out for deals. 2017 La Gioiosa, Prosecco Superiore Millesimato, Valdobbiadene Veneto, Italy (£13.49) This delicious wine is made from 100 per cent glera grapes and comes from the most famous of all the prosecco sub-regions in northern Italy, Valdobbiadene. The creamy fruit is luxurious, mouth-coating and refreshing, and it is noticeably indulgent. Posh prosecco – who’d have thought it? This class is a mix of sparklers drawn from all over the planet, excluding English fizz, Champagne and prosecco. A crucial grouping of wines, this is where we welcome world styles which often show great raw materials and sensitive winemaking but at very reasonable prices. 2016 Codorníu, 1872 Vintage Cava Spain (£11.99, reduced to £7.99 until 1 January, Waitrose) At the discounted price this is one of the most accomplished and great-value sparkling wines in the world. This style of classically made Spanish sparkling wine lags behind prosecco in terms of popularity but the best versions steam past the Italian wine in production methods (they are made like Champagne/English sparkling wine). Using local grapes parellada, macabeo and xarel-lo, this is a balanced and refreshing wine and it topped our judging with perfect scores across the board. NV La Gioiosa et Amorosa Rosea Veneto, Italy (£10, Morrisons) This delicate northern Italian rosé is made from pinot nero and pinot bianco and is one of my absolute favourites. It looks smart, the flavour is knockout, with wild cherry blossom notes on the nose and faint cranberry tinges on the palate, and the finish is rewarding, too. This is an awful lot of wine for a tenner! NV Jansz, Premium Cuvée Tasmania, Australia (£17.99, reduced to £14.39 until 1 January, Waitrose) Jansz gives us a ‘vintage Champagne’ flavour for a relatively tiny price. If you are searching for a classically made wine, which uses chardonnay and pinot noir and tastes the part, but doesn’t cost a bomb, this is it. Sheer heaven. The ‘own-label’ or ‘entry-level’ Champagne bracket in supermarkets can be a very dreary place indeed. Every so often a few bright stars emerge and then, inevitably, they fade. I usually recommend that people buy other styles of sparkling wine and only step up to Champagne when they have saved enough cash for one of the famous names, but this year three very attractive wines stood out head and shoulders above the rest in this category. Be assured that these are worth every single penny and more. This has always been a solid performer in the Tesco portfolio and it is on top form right now. Made from 70 per cent chardonnay and 30 per cent pinot noir, and based on the 2012 vintage, the panel jumped on this wine as being superb value and also showing delicacy, depth of flavour and a long, even finish. NV Les Pionniers Champagne Brut France (£18.99, reduced to £17.99 from 12 December until 29 January, Co-op) I have written up this Champagne many times over the years and it never disappoints. With a little more body than many, Tesco’s fine fizz can step up to main-course fish dishes. I’m sure people will pour it with turkey, too – and who can blame them! Made from 50 per cent pinot noir, 30 per cent pinot meunier and 20 per cent chardonnay, this is a slightly fuller-flavoured Champagne than the Tesco wine and is excellent with canapés as well as starter dishes on account of its undeniable character. NV Waitrose Blanc de Noirs Champagne France (£22.99, Waitrose) This steps over the £20 mark, but still manages to keep itself firmly in the great-value category. This time, it is 100 per cent pinot noir. I love Blanc de Noirs (white wines from red grapes) because they have a lusty richness to the palate coupled with a slightly more red-fruited perfume. A thoroughly delicious and indulgent wine. One of the most famous white grapes in the world, sauvignon blanc is typified by citrus tones and crisp, dry acidity on the finish. European versions tend to be leaner and more alert while warmer-climate wines often bring more tropical fruit notes to the party. I, for one, think that the overtly fruit-salady wines are on their way out as we come back to more stripped-back, nervier styles. We had a fascinating taste-off as you will see from the results below. 2018 Waitrose in Partnership Villa Maria, Sauvignon Blanc Marlborough, New Zealand (£10.99, reduced to £7.99 until 1 January, Waitrose) Villa Maria is the most awarded winery in New Zealand and their collaboration with Waitrose has resulted in a stunningly balanced wine. What I particularly like here is the restraint this wine exhibits. Unlike the tropically scented sauvignons of the past this is elderflower and citrus-themed, with delicacy and composure its key attributes. The panel loved this wine and it shows that you do not need to spend the earth to find a top-flight sauvignon blanc. 2017 Le Grand Ballon, Sauvignon Blanc Delaunay Loire, France (£8.99, Waitrose) A true classic, this is a mini-Sancerre or Pouilly-Fumé in style and manages to bring a lot of class and length to the action, given its competitive price. The Loire is the home of this grape and Delaunay is a great winemaker, used to fashioning wines with just the right amount of exuberance and style. This is a slight departure from the predictable sauvignon blanc theme, given that it comes from Bordeaux. Richer and more powerful than most sauvignons on the market, it is a main-course white and I love its attitude and commanding flavours. The greatest white grape on earth often fails to perform at lowly price points – you cannot just plant chardonnay anywhere and cross your fingers it’ll work. It is therefore not surprising that all these three are from elite wine regions and cost £10 plus. Having said this, these are spectacular wines – and the winner blew us all away with its amazing quality. 2018 Vandenberg, Adelaide Hills Chardonnay South Australia (£10, Co-op) The Adelaide Hills wine region is pure gold for the chardonnay grape. With a perfect climate and a multitude of talent in the area, the wines are rivalling every other chardonnay region in the world, but I have never tasted a £10 one this good. Twenty-five per cent of the blend sees expensive French oak treatment for six months and this adds great depth and toasty balance to the smooth, lemony fruit. 2017 Rustenberg, Chardonnay Stellenbosch, South Africa (£13.99, reduced to £10 until 12 December, Waitrose) This is another drastically reduced ‘footfall favourite’ at Waitrose; 25 per cent of it sees a full 12 months in new oak barrels, with the rest being matured in older barrels before blending. At only a tenner, you’ll have to act fast. 2016 Montagny, Chatel-Buis, Côte Chalonnaise Burgundy, France (£12.99, Waitrose) It is nice to see a classic white Burgundy, the home of the chardonnay grape, make the rostrum. There is no oak used here and even though this wine is from southern Burgundy, it has a chablis-shaped palate with beautiful balance and real sophistication – you’ll really enjoy it. I grouped together a band of fuller-framed and aromatically pungent wines in this class because they are all styles which bring variety and intrigue to your dining-room table. All world-class and all under a tenner, the three below are epic examples of the diversity and complexity of the wine world. 2017 Rabl, Grüner Veltliner Vom Löss Kamptal, Austria (£9.50, Marks & Spencer) Everyone fell for the classy fruit in this shimmeringly beautiful grüner. Austria’s most famous white grape can often feel a little undernourished at a fighting price point, but this M&S version is a positive diva. Relaxed and unhurried on the palate, this is a pear and apple-perfumed wine with a buoyant texture and very long finish. Yum! 2017 Masseria Pietrosa Verdeca Puglia, Italy (£8, Morrisons) This is a ‘Marmite’ wine which had huge support from some judges, while others really didn’t get it – but I love its individuality and pizzazz. The main talking point was the use of oak barrels to add aroma and texture to the stone fruit theme. I happen to love it and if you like chardonnay, then I venture you will be amazed with this wine. 2018 Tesco Finest Tingleup Riesling Great Southern, Western Australia (£8.50, Tesco) Made from 94 per cent riesling, 3 per cent semillon and 3 sauvignon blanc, this is a wickedly delicious, bone-dry riesling and is terrific with a vast range of seafood, from smoked salmon and spicier Pan-Asian fare to good old pan-fried white fish. The last of my mixed white classes involves grapes on the nimbler side of the fence. Europe fares well here because of the vast array of indigenous grapes found in Italy, Spain and Portugal. Aperitif styles with enough skill to take you into starters, these superb wines should find a place in your fridge over the festive season. 2017 Co-op Irresistible Gavi Broglia Piemonte, Italy (£8.50, Co-op) This wine has been in my column on a few occasions in past vintages and it is made by a reputable winery. We in the UK have always had a soft spot for gavi, Italy’s most fashionable wine style. Co-op’s own-label has more weight and length of flavour than the other supermarkets’ versions. 2017 Quinta de Azevedo, Vinho Verde Portugal (£8.69, Waitrose) I adore vinho verde and drink this particular one regularly, such is its class, so I was thrilled to see it recognised by the judges. Crisp, zesty and lively on the palate, this is one of the finest vinho verdes around – the depth of flavour is impressive and gives it a more memorable taste than most. 2017 Verdicchio dei Castelli di Jesi Classico Marche, Italy (£8.50, M&S) This style still seems to fly below the radar with the public. Made in the centre of Italy, west of Ancona, you can spot it on the shelves because of its amphora-shaped bottle. Often a little neutral, these wines are a safe haven, but this particular one has an extra level of depth and charm. I like its gentle fruit. Ah, pinot grigio – how we love to hate you, because you disappoint more often than you please us. Inexpensive PG is usually too hollow and lacklustre to warrant a second look, so I worked extremely hard to find some worthy wines, and the successful trio stunned the judges with their accuracy and flair. 2017 Brancott, Pinot Grigio Marlborough, New Zealand (£8, Morrisons) Who’d have thought that a New Zealand PG would nip into first place? Actually, to be honest, I thought that it might do well because I remember being flabbergasted at this wine when I tasted it two months ago at the Morrisons press tasting. It seems that the panel agreed because they were all singing its praises. Stunningly refreshing and pure, this is a massively impressive wine and it will appeal to every single palate in the country. 2017 Yalumba, Y Series Pinot Grigio South Australia (£9, reduced to £8 until 11 December, Co-op) The fact that a Kiwi PG made headlines is all the more exciting when a wine from over the Tasman Sea joined it on the podium! Y Series is a wondrous wine and it shows that the Aussies can turn their hands to all classic wine styles and come up smiling. 2017 Forte Alto, Pinot Grigio, Vigneti delle Dolomiti Trentino, Italy (£9.79, Waitrose) This is a very worthy wine indeed from Italy, the home of pinot grigio. It has a slightly slimmer frame than the other two wines and a scintillating dry finish thanks to the chilly Trentino nights which underpin the lip-smacking acidity in this wine. We are drinking rosé all year round these days, thankfully, because it does such a great job with all styles of cuisine. Think of this style as a richer white or a lighter red which treads the gastronomic boards with the dexterity of Fred Astaire. The three wines chosen by our judges could not be more different in style, too, which is even more exciting. 2017 El Viaje de Ramón Garnacha Rosé Rioja, Spain (£8, Co-op) Ramón Bilbao’s entry-level rosé is utterly mesmerising. I love what this rioja-based winery has done in a few short years with its rosé wines. El Viaje sits between the Provence style of rosé and the richer version, both of which appear as runners-up. The light red cherry and cranberry tang shows red fruit on the nose and palate, but it finishes with the lightness of a great white wine. 2018 Viñalba, Malbec Rosé De La Familia Argentina (£8.50, Morrisons) Pale in colour but packed with flavour, this is a superb wine which draws its overt fruitiness from the great malbec grape. With mulberry and raspberry notes and a succulent, juicy mid-palate, it would work wonders with Indian cooking or seasonal dishes like honey-glazed chipolatas or devils on horseback. 2017 Berne, Grande Recolte Rosé Cotes De Provence, France (£10, reduced to £9 until 1 January, Morrisons) Berne is an eye-catching Provence rosé with all of the delicacy and restraint we adore from this style. The fruit is demure and refreshing and there is also a bright acidity on the finish – making this wine a winner with seafood and lighter fish dishes. The lightest of all reds, pinot noir is hard to find at fighting price points – and gamay, famous for making Beaujolais, can look lean and hollow or tutti-frutti at this price. I’m so pleased with the judges’ choices – these are three of the most amazing wines. Even palates resigned to spending more for this class will find we’ve come up with the goods. 2017 Asda Extra Special Yarra Valley Pinot Noir Victoria, Australia (£7.98, Asda) Asda’s overall wine offering is one of the most lacklustre on the high street, but this epic wine more than makes up for it. This juicy, accurate, cherry and berry-scented pinot is bolstered with a clever 12 per cent shiraz and, while it is hard to spot this intruder grape on the nose, it does a great job of propping up the mid-palate and giving us more depth of fruit to enjoy. 2017 Escarpment, The Edge Pinot Noir Martinborough, New Zealand (£14.99, reduced to £11.99 until 1 January, Waitrose) Made by one of the most respected winemakers in the southern hemisphere, Larry McKenna, this wine takes the more forward-drinking pinot noir from the acclaimed Escarpment vineyards and packages it up with floral elegance, wild strawberry fruit and a discreet 12 per cent alcohol level. This is a very pretty wine and it will amaze fans of this grape. 2017 Beaujolais-Villages, Réserve de Pizay Burgundy, France (£8, Co-op) By contrast to the bubble-gum and banana-scented Beaujolais of old, this is a much bolder style of gamay with blackberry fruit and also a real sense of the wild Beaujolais countryside. I love this honest, accurate wine and it is a cracker with all manner of wintry dishes. 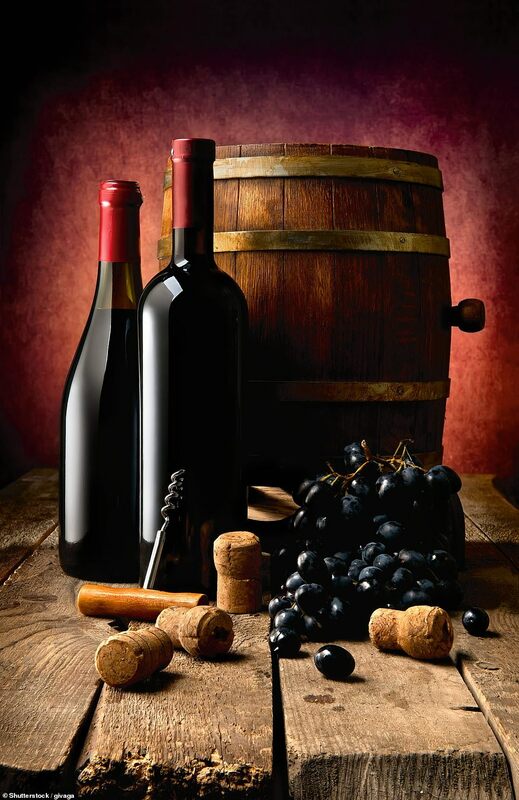 This class focuses on grapes grown in Bordeaux in France but when they are grown in other countries, the wines are said to be made from a ‘Bordeaux Blend’. Cabernet sauvignon, cabernet franc, merlot and malbec are the candidates. The three wines below are all spectacular versions of this time-honoured style of red wine. 2017 Vandenberg, Melee, Limestone Coast South Australia (£10, Co-op) You will have seen that Vandenberg picked up an award in our chardonnay class, so to have come number one in this section, too, is jaw-dropping. I take my hat off to Co-op for sourcing these. Here, the blend is 50 per cent cabernet sauvignon and 50 per cent shiraz, which bends the Bordeaux Blend rules a touch. In the old days, the Aussies called this style ‘claret’, a reference to Bordeaux. They used shiraz instead of merlot because merlot didn’t perform very well in their hot climates. Today this blend is called The Great Australian Red and I hold an annual competition in Adelaide to find the finest Aussie wines made from this blend. Vandenberg is a super-juicy, super-smooth stunner with plum and blackberry fruit and a heroic finish. 2016 Wolf Blass, Silver Label Shiraz/Cabernet/Malbec South Australia (£10, reduced to £9 until 26 December, Tesco) This is another wine which made the cut for my 100 Best Australian Wines Report this year. I’m delighted the judges loved it, with its dark fruit and oodles of spice which I think comes from the addition of malbec. This wine has a flavour which is twice the price, so don’t delay in tracking it down. 2014 Château Jouanin, Castillon Côtes de Bordeaux, France (£9, Co-op) How exciting to find a truly great red Bordeaux under a tenner, and with a few years under its belt. Jouanin is a classic Castillon style: 80 per cent cabernet franc and 20 per cent merlot, then 60 per cent of the wine is aged in barrels before blending. If you love classic ‘claret’, you’ll be delighted with this. A mighty class of wines which follow either single grape varietal or blends of grapes found in the Rhône Valley. This model, or recipe, is employed all over the world, famously in Australia – no surprise then that the Aussies edged France here with a score of 2-1! 2016 Kilikanoon Grenache Shiraz Mataro South Australia (£10.99, Waitrose) This blend is 50 per cent grenache, 40 per cent shiraz and 10 per cent mataro (a synonym to the French grape mourvèdre). It spends ten months in old French oak hogsheads (double-sized barrels) and has one of the most knockout flavours of the year. Velvety-smooth, ever so long and perfumed with violets, tar, pepper, leather, sweet, juicy plums and pipe smoke, this is an awesome wine and you’ll have to sprint to the shops to secure your stock because this is a favourite style in the UK. 2016 Yalumba, Galway Barossa Shiraz Barossa Valley, South Australia (£12.99, Waitrose) Another South Australian red, but only using the great shiraz (syrah in France) grape and this is from the legendary Yalumba winery. Massively rich and heady with structure, power and depth, this is one of the biggest reds in these awards and it’ll age brilliantly. 2016 Les Cardinaux, Famille Perrin Rhône, France (£10, reduced to £8 from 12 December until 3 January, Co-op) Made from the same recipe as the Kilikanoon wine, with slightly different percentages in the blend. This 80 per cent grenache, 15 per cent syrah and 5 per cent mourvèdre wine comes from the famous Perrin family, owners of the most renowned Châteauneuf-du-Pape of all – Château de Beaucastel. This is smooth, smoky and densely packed wine and it sums up the splendour and history of this region. There is so much competition in this class because Spain and Portugal both deliver great-value reds. It’s a little sad a Portuguese wine didn’t make the final three, but I will keep you up to date with the best ones in my weekly column. 2016 The Cubist, Old Vine Garnacha Calatayud, Spain (£9.99, Waitrose) Another favourite of mine, The Cubist is a celebration of old vines, which produce fewer grapes but have a more concentrated flavour. This garnacha is rich and hedonistic with black cherry, plum and blackcurrant notes under a cloud of spice and earth. Decant this beauty for a sensory explosion of delights. 2014 Baron de Ley, Reserva Rioja Spain (£6, 50cl bottle, Morrisons) Classic in every way, this is a beautiful rioja with blackberry, vanilla and cinnamon on the nose. This, and the perfect oak component, is responsible for the unmissable perfume. Already four years old, it’s mellow and is ready to go! 2016 Torres, Coronas Tempranillo Catalunya, Spain (£9.99, reduced to £7.99 until 1 January, Waitrose) The Torres family has done more for wine than any other in Spain and this one gets the flavour of the grape spot on. The summer pudding notes coupled with a silky texture mean all palates will enjoy this great wine. While I’ve called this class The Americas, in the end it was a hat-trick for Argentina and its most famous red grape, malbec, because it gives you so much flavour for a relatively low price. 2017 Don David, Blend of Terroirs, Malbec-Malbec Calchaquí Valley, Argentina (£9, reduced to £8 until 1 January, Co-op) Oddly, this wine mentions the malbec grape twice on its label, to underline the fact that while it is a single varietal wine it comes from different vineyards with different flavours. This is evident in the kaleidoscopic array of black and red fruit and a heroic finish. Be sure to choose Gran Montaña Reserve, because Morrisons stocks another malbec with a similar name, and it is not quite as indulgent and impressive as this slightly more expensive version, which has more power and oak influence and a longer, more succulent finish. This is the youngest-feeling of the three malbecs here, with dense tannins that need to be aerated in a decanter before drinking. With enough energy and concentration to last for a few years, it’s one wine you could conceivably drink this Christmas – and also the next three or four to come. A massively important class on the high street, Italy continues to give us superb and unique flavours at great prices. The use of its very own grape varieties provides us with a welcome break from the familiar international grapes we see in abundance. 2016 Valpolicella, Ripasso Veneto, Italy (£10.50, Marks & Spencer) This turbo-charged valpolicella is made from the corvina, corvinone and rondinella varieties, while ‘ripasso’ refers to the method of fermenting the grapes with added dried grape skins, giving the flavour more depth and power. The black-cherry theme is augmented by some savoury, smoky notes. NV Grande Alberone Black Bio Italy (£7.99, Aldi) Organically grown negroamaro, primitivo and malvasia nera grapes give this an extraordinary flavour of prune and raisin coupled with dark chocolate and coffee tones. There’s little detail on the label about where exactly this wine comes from in Italy but I’m betting it hails from the deep south on account of the staggeringly ripe flavours. 2016 Notte Rossa, Primitivo di Manduria Puglia, Italy (£11, M&S) Thanks to its high-quality fruit and the six months it spends in both French and American oak barrels, this is one of the most refined and impressive primitivos on our shelves. Nothing can disguise the calibre of this wine when it hits your glass. Drink it with rich, wintry dishes and you’ll be amazed at its complexity and finesse. This class gave us a real surprise, with world-famous producer Graham’s emerging victorious, but the runners-up slots going to two great-value own-label wines. These three stunners are the only way to finish off a delicious dinner. 2013 Graham’s, Late Bottled Vintage Port Portugal (approx £13.50, reduced to £10 until 1 January, Waitrose; reduced to £9.50 until 1 January, Morrisons; reduced to £9.50 at time of publication, Asda; reduced to £9 until 1 January, Tesco) With dense black fruit and an indulgent texture, this will put a massive grin on your face. Retailers are prone to offering deals, as you can see, so keep your eyes peeled. NV Finest Reserve Port Portugal (£12, reduced to £10 until 31 December, M&S) Made by David Guimaraens, Taylors’ talented winemaker, this is suave and crammed with the sort of flavour usually found in much pricier ports. Aged for three years, it is mellow and at its peak of drinking now. NV Morrisons Special Reserve Port Portugal (£8.20, Morrisons) This rewarding, epic-value port produced by the Symington family has all the classic flavours. You should have heard the judges’ gasps when I revealed the label – they all expected it to be a far more expensive bottle. The essential dinner-party accessory, sweet wines remain largely unpopular but I cannot stress enough how much I love this style of wine, and also how much it impresses guests if you take the plunge and serve one with a well-matched dessert. 2017 Coteaux du Layon, Domaine des Forges Loire, France (£10.99, 50cl bottle, Waitrose) Effortlessly graceful and ever so hypnotic, this is an ancient and hugely respected style of sweet wine, made from the chenin blanc grape variety. With refreshing lemon balm and lightly honeyed fruit, this is not a rich sweet wine, but a very long and sophisticated one that would be sensational with a fruity tart or even a well-selected cheese course. It’s one of the finest and most elegant in this entire feature. 2015 Domaine Lasserre, Jurançon south-west France (£7, half bottle, Co-op) This is another nostalgic French classic, which you might find in many a Parisian bistro but rarely see on the shelves in the UK. With tangy acidity and a refreshing, fruity palate, it’s as far from a rich sweet wine as you could possibly imagine. I even suggest drinking it as an aperitif, such is its allure. I venture that this will convert every palate to the sweet wine cause. 2014 Morrisons The Best Botrytis Semillon New South Wales, Australia (£7, half bottle, Morrisons) Made by Aussie superstars De Bortoli, this is the complete opposite of the two other wines in this section. A heroic, marmalade and honey-soaked beauty, it has one of the richest and most tropical palates imaginable. It is astonishing just how much heady sweetness it can cram into the glass and, as the proud possessor of a very sweet tooth, I adore it – and its price. A thrilling class of wines, I have long been singing the praises of sherry and Madeira, and the judges have picked out three fantastic examples here. NV Mil Pesetas Manzanilla Sanlúcar de Barrameda, Spain (£6.50, 50cl bottle, Co-op) Featuring bitingly fresh citrus fruit, this is the ultimate aperitif, and as well as being a great match for all manner of tapas, it’s a hugely talented partner for most types of cuisine. NV Waitrose In Partnership, Tomás Abad, Rich Cream Sherry Spain (£11.49, Waitrose) Made from an eight-year-old blend of dry oloroso and Pedro Ximénez (see the ‘stickies’ section), this beautiful wine has a nose that reminds me of toffees and ripe figs. NV Blandy’s, 5-year-old Reserva Madeira portugal (£14.99, 50cl bottle, reduced to £11.99 until 1 January, Waitrose) A legendary wine from a world-famous estate, this is a steal for the price. A little glass served with aged Cheddar and a few nuts would be my ideal finale to a feast. This family of sweet wines is more sugary and toffee-like than those found in my Sweet class, so I call them stickies! The guiltiest pleasures in the wine world, you simply must taste these because they are like nothing else on earth. NV Campbells, Rutherglen Muscat Victoria, Australia (£12.99, half bottle, reduced to £9.74 until 1 January, Waitrose) I love Rutherglen muscat, and Campbell’s is one of the elite producers of this legendary style of fortified wine. Made from super-ripe muscat grapes, with extra flavourless alcohol added before being aged in oak barrels for years, this rose petal and caramel-kissed wine is bliss. NV Tesco Finest Pedro Ximénez Jerez, Spain (£6, half bottle, Tesco) This sherry, made from Pedro Ximénez (PX) grapes, is on the lighter end of the spectrum but is still an insanely sweet, coffee, caramel and raisin-soaked wine. Designed for all manner of sweet dishes – Christmas pudding and mince pies are just two – this is eminently affordable, given that you only need a tiny glass to entrance your taste buds. NV Rare Pedro Ximénez Jerez, Spain (£9, half bottle, reduced to £6 until 31 December, Marks & Spencer) A far more intense version than Tesco’s offering, above, this is so dark, rich, hedonistic and gloopy, you have to be a fully paid-up PX fan to be assured of adoring this wine. If you are, however, your palate will perform somersaults, such is its splendour in the glass.